If you haven't watered your Christmas tree since you forgot about it on Boxing Day, now is the time to get it out of your house. 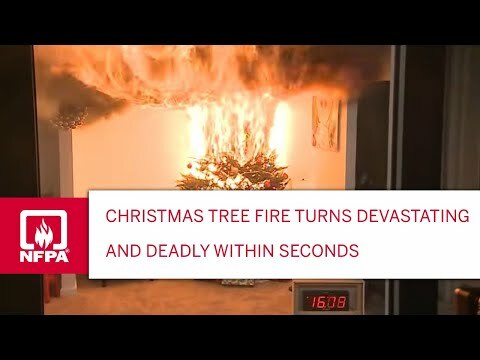 Unwatered Christmas trees are a huge fire hazard, as this video from the US National Fire Protection Association clearly shows. There's nothing wrong with a Charlie Brown Christmas tree. But if your tree is looking a little bare and you want to add some lushness, a string of garland will do the trick. I've lived with people who abhor Christmas trees, real or plastic, in the house all my life. If you're in the same boat as me but still want to feel festive in your home this holiday season, this make-shift Ikea Christmas tree created from a wall shelf could be the solution. Yuletide festivities are nearly upon us. For proponents of the Weihnachtsbaum tradition, this means dusting off the baubles and festooning your house with decorative flora -- be it pine, fir or plastic. 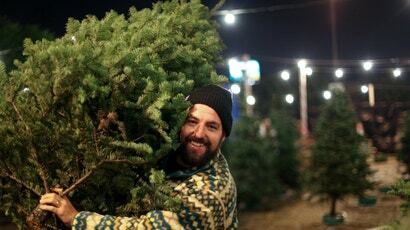 But when is the right time to put up your Christmas tree? Or should it be up already? We want your opinion!